That darn Adele and her very talented musicianship! Not a day goes by that that song isn’t stuck in my head. It doesn’t help that we’ve had her album on in store play rotation at work for the last couple months. I’m looking forward to when her album is taken off that playlist. Here’s a nice take on her song. 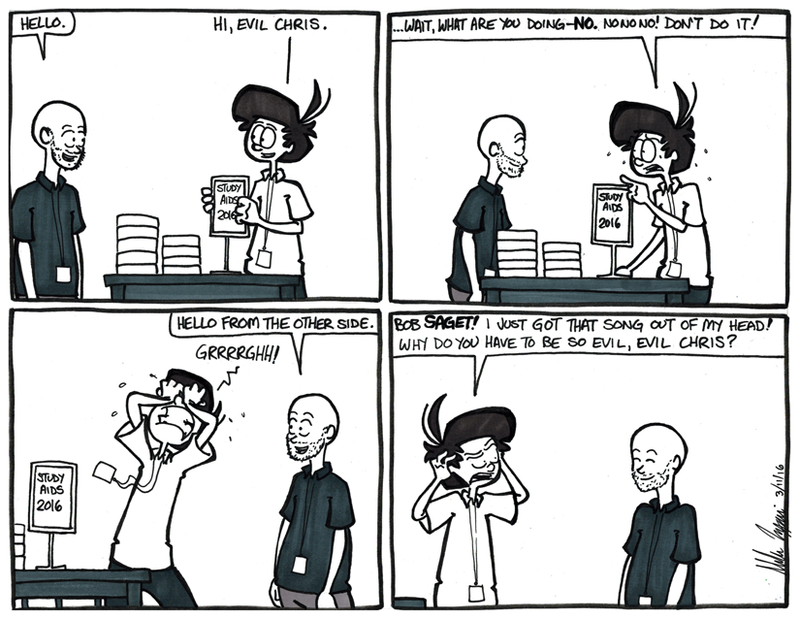 Welcome Evil Chris! Our latest addition to the Patreon support character list! He’s been added on behalf of his amazing coworker who sent me an awesome write up of Evil Chris.